Just click on the images below for complete home plan details. 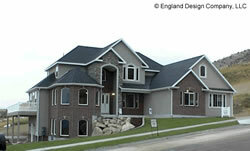 There may be various categories of house plans in each home design size range so be sure to visit them all. You can also navigate to other house plan pages by clicking on their links below.